Noumena is a quintet from the heartlands of Finland that has an extremely Finnish sound mixed in with their melodic yet harsh pounding. The most obvious sound-alike would be Elegy-era Amorphis with the keyboards stripped away. The vocal work goes back a bit more, as the guttural churning of Antti Haapanen brings back vibes of Karelian Isthmus. Female vocalist Hanna Leinonen and male counterpart Tuomas Tuominen (of Fall Of The Leafe-fame) share their special guest input to the clean vocals on the record. This mixing of several styles on a regular basis throughout the album brings a fluid diversity that gives the record much more longevity. The distinctly different styles complement each other very well. The music takes on approaches from very many directions. The guitar harmonies are very much influenced by Finnish folk music and bring similar melodic vibes that are found with Moonsorrow and Insomnium. There is a clear divide between hard-hitting, heavy “speedies” like A Day To Depart and slow-burning tunes, like the awesome bordering-on-a-ballad The Great Anonymous Doom. The clean intro to Slain Memories sounds a lot like Colony-era In Flames, which can be heard in more than some guitar melodies and riffs as well. Occasionally the leads possess a Maiden-like catchiness that brings forth mighty doses of air guitar. When the band goes mid-tempo, you could be fooled that an Ensiferum track is marching forward from the speakers. The song material is evenly strong without any flops in the fold. This can also hinder the power of Absence, as the clear hits are also missing. Additional faster songs would have suited my tastes well. The production on the album is mainly solid as stone. I don’t know if it is just with my ears that on a few songs the drums sound a bit thin and weak. Mostly top-notch, anyhow. 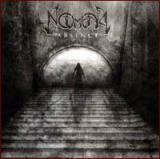 Noumena showed on their second full-length that their potential was about to catch fire and produce something even greater.